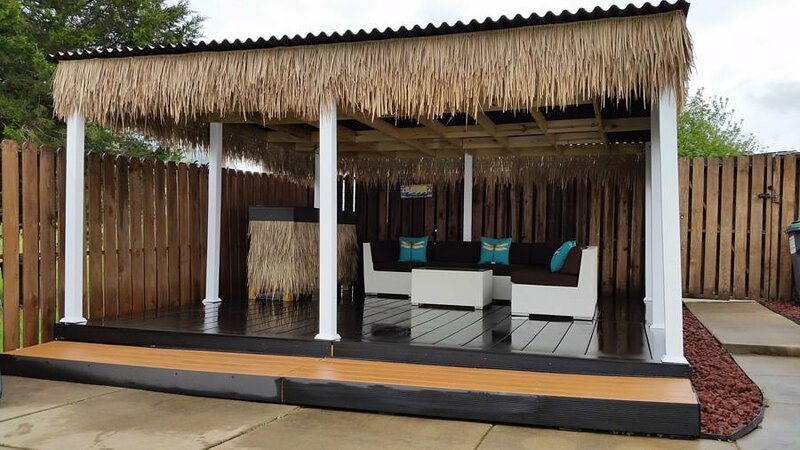 Johnny of Spotsylvania, VA built this cozy backyard retreat with our newly released Charcoal BamDeck® 3G composite decking, adding a touch of the tropics with Cali Bamboo Palm Thatch! He said it’s the first deck he’s ever built, with a lot of trial and error. We can almost feel the cool ocean breeze.